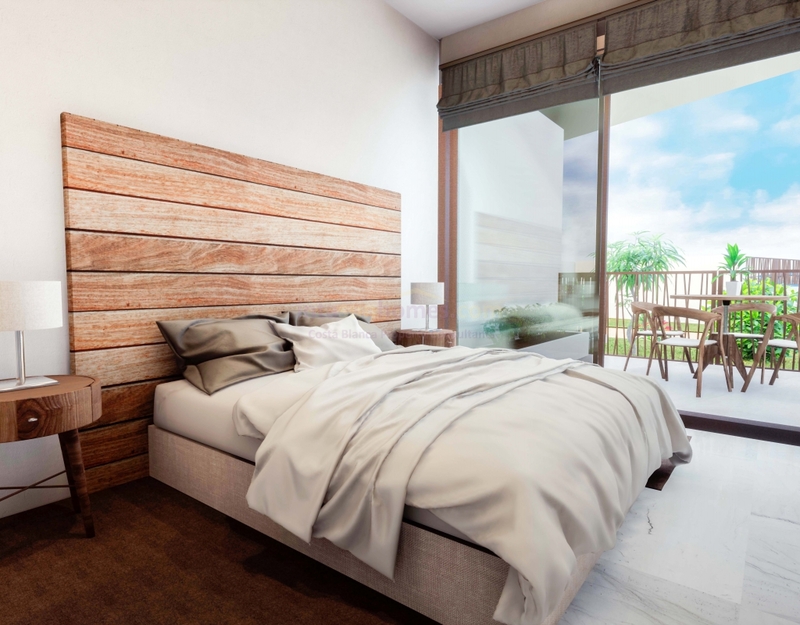 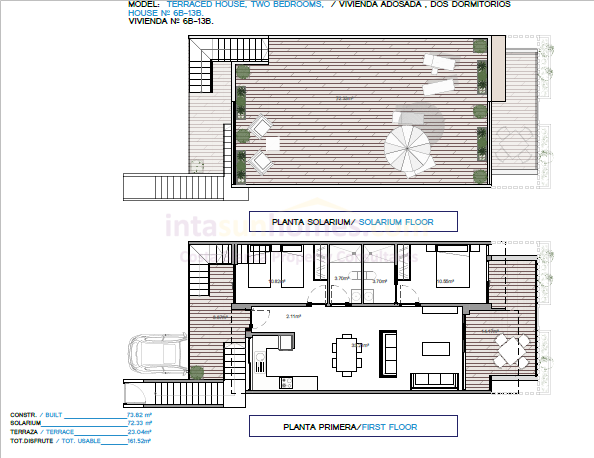 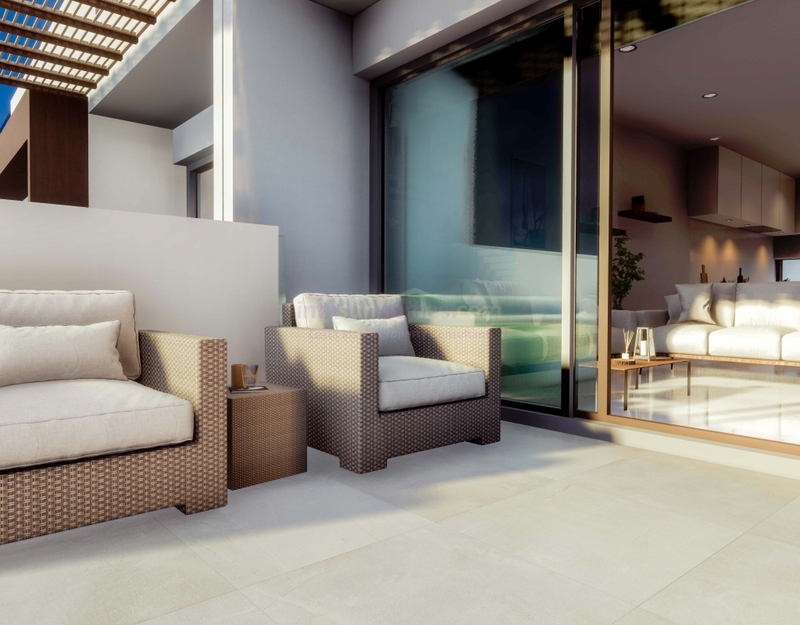 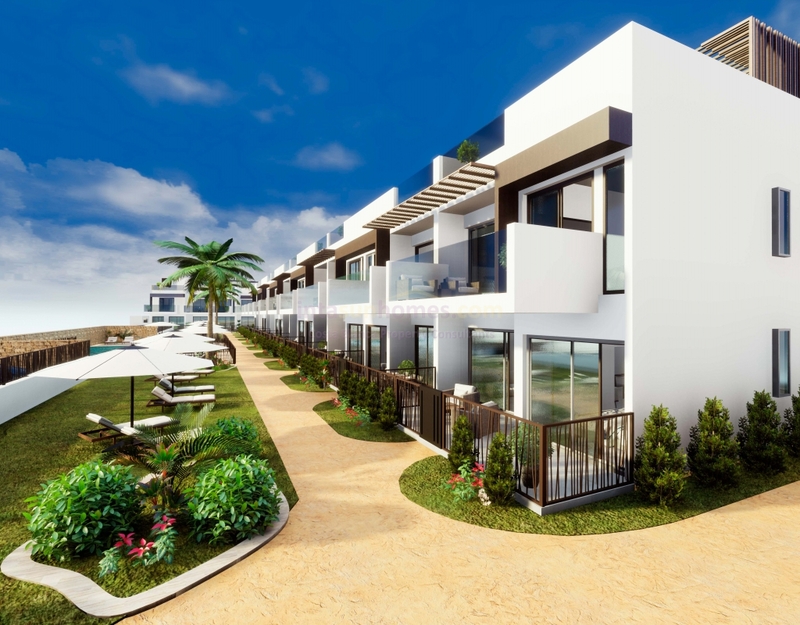 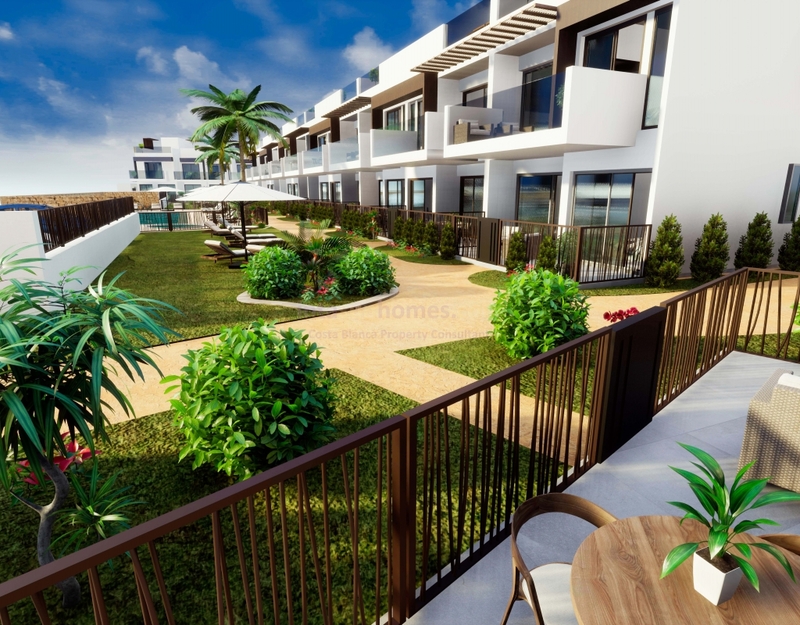 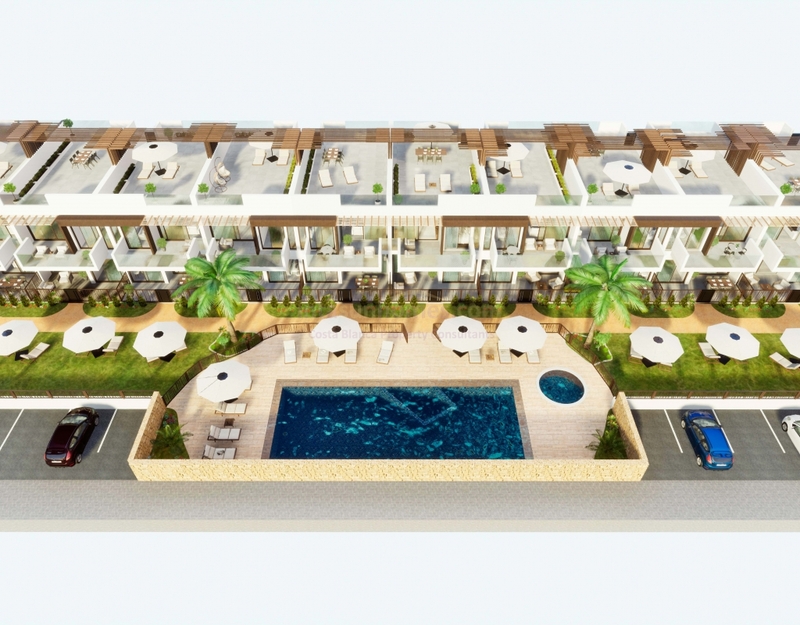 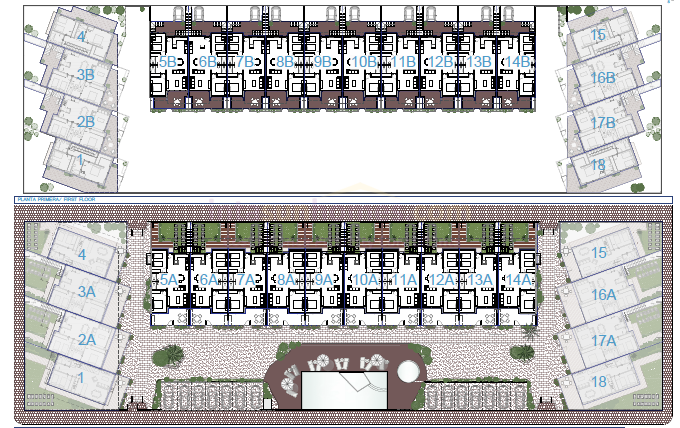 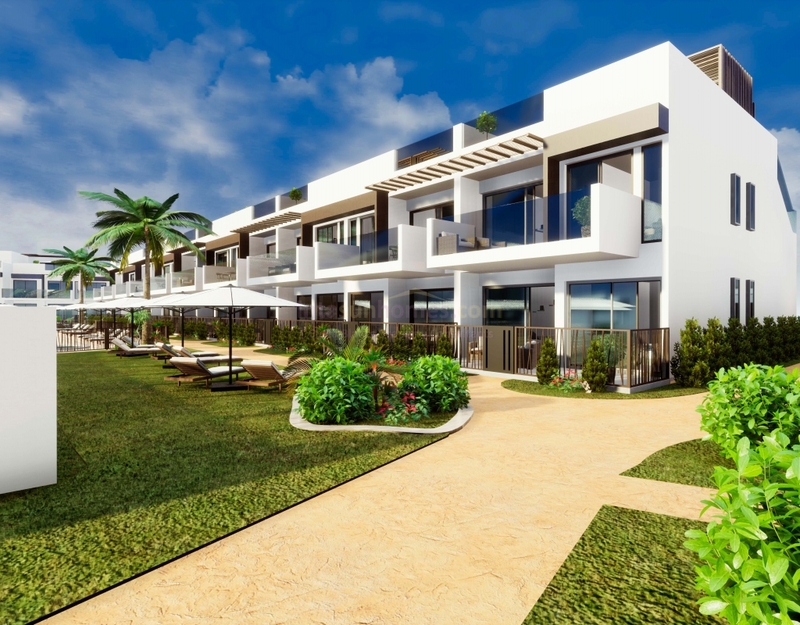 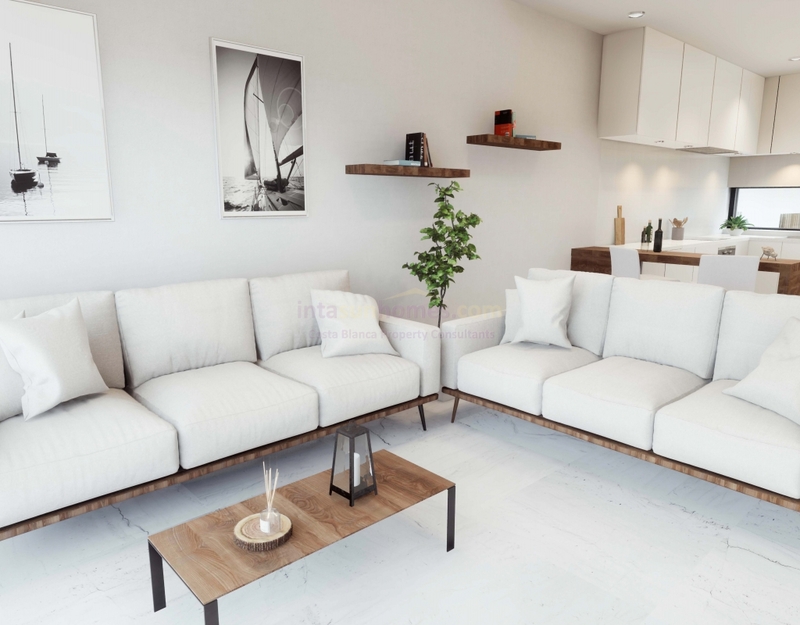 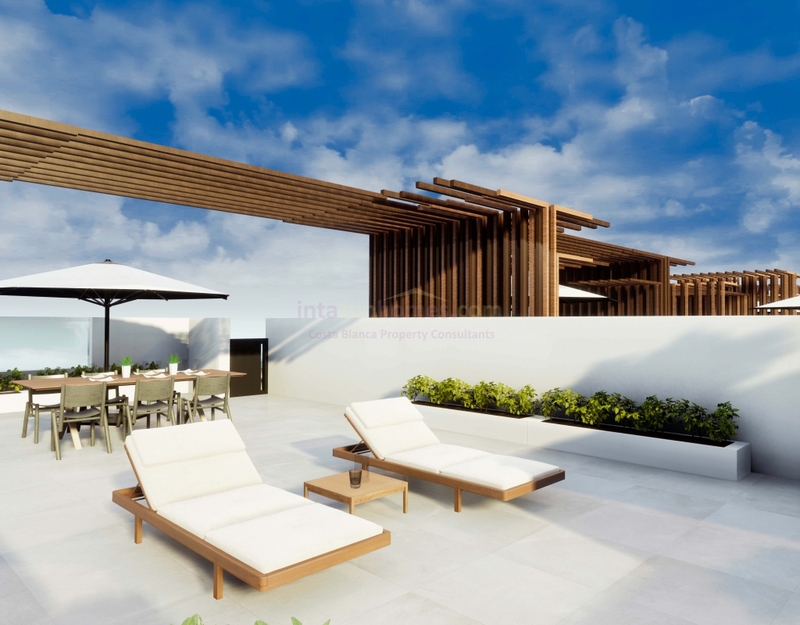 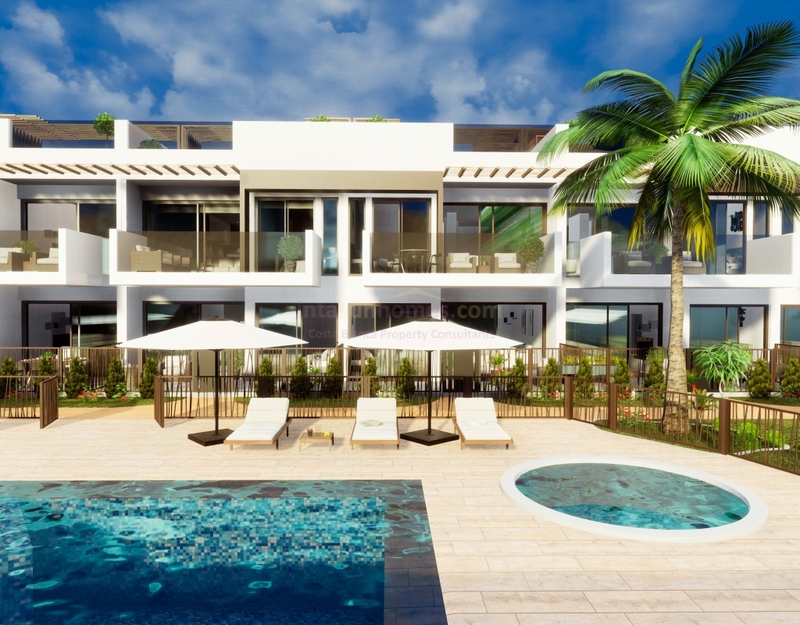 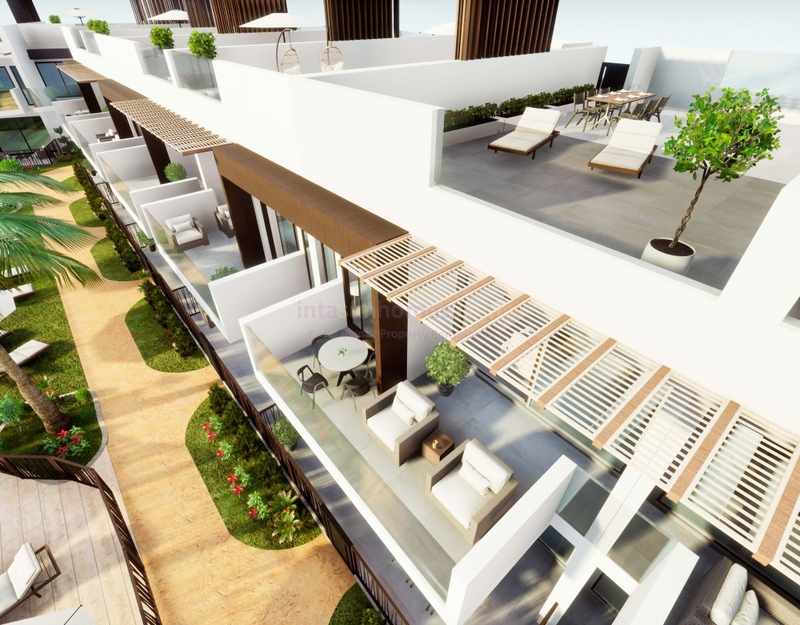 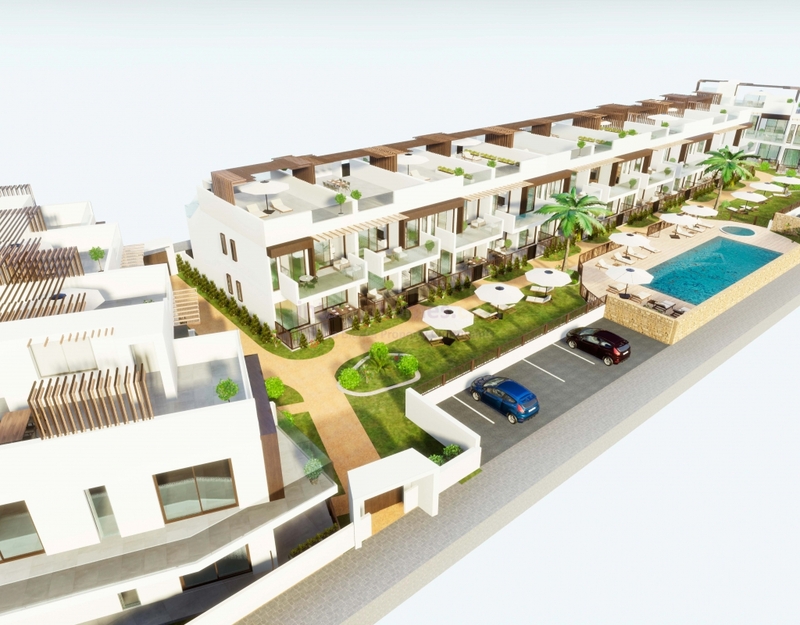 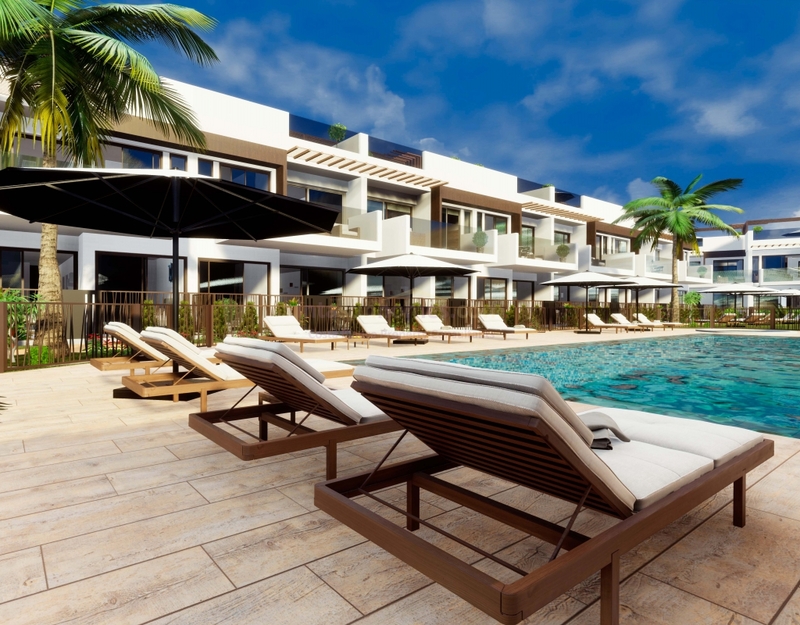 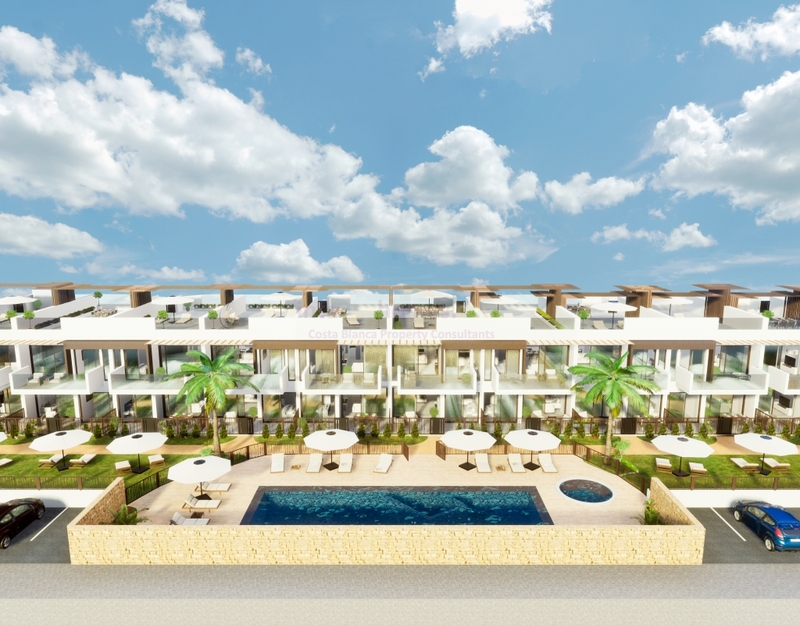 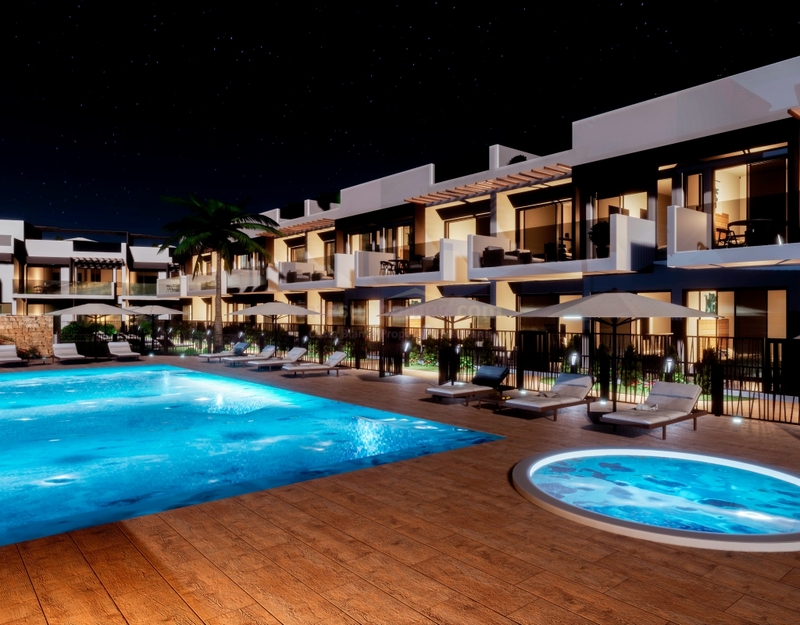 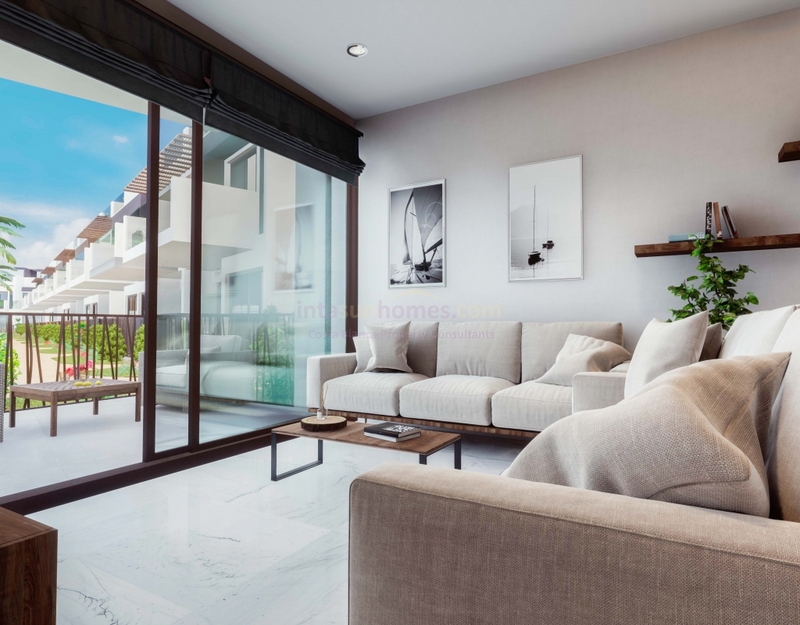 These luxurious new build Apartments situated in Dolores in the Elmirador de la Ermita urbanization near the beautiful coastal town of Los Alcazares are a perfect oppertunity to begin enjoying your life in Spain in style! 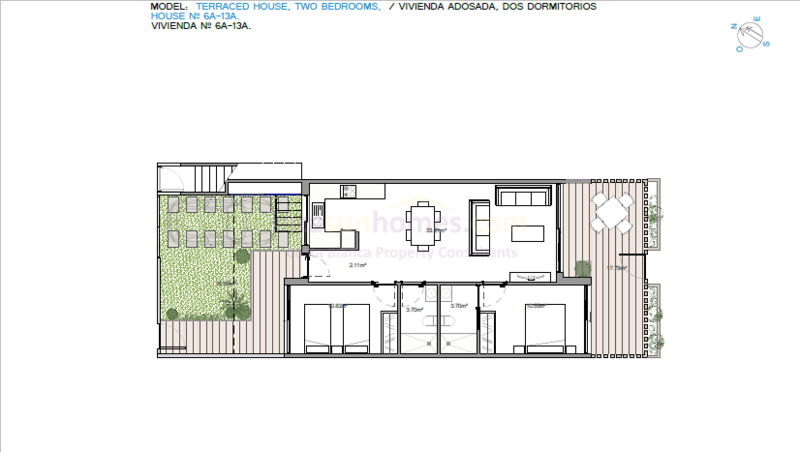 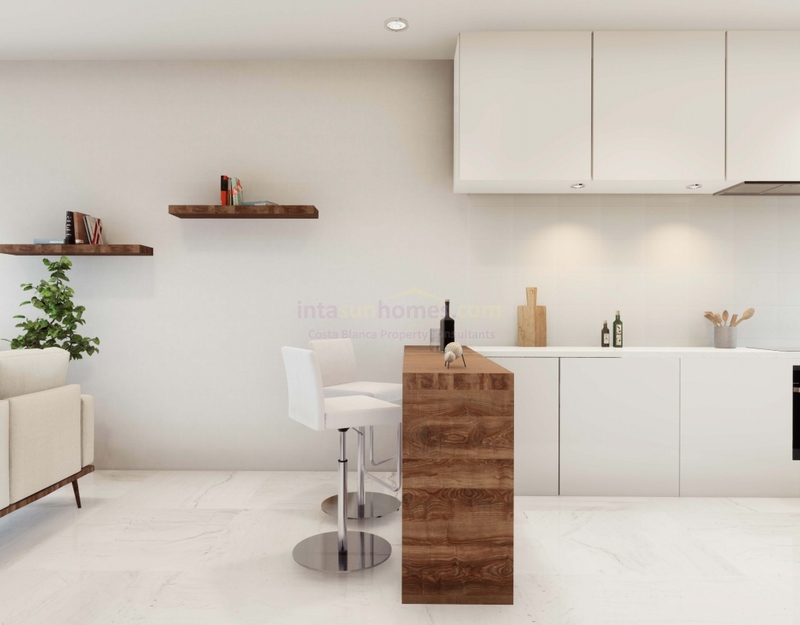 These modern 2 bedroom 2 bathroom properties all boast a beautiful, bright open plan living space with fully fitted modern american kitchens, the spacious master bedroom comes with its own en-suite bathroom and have a seperate family bathroom which are accesible by the main living area. 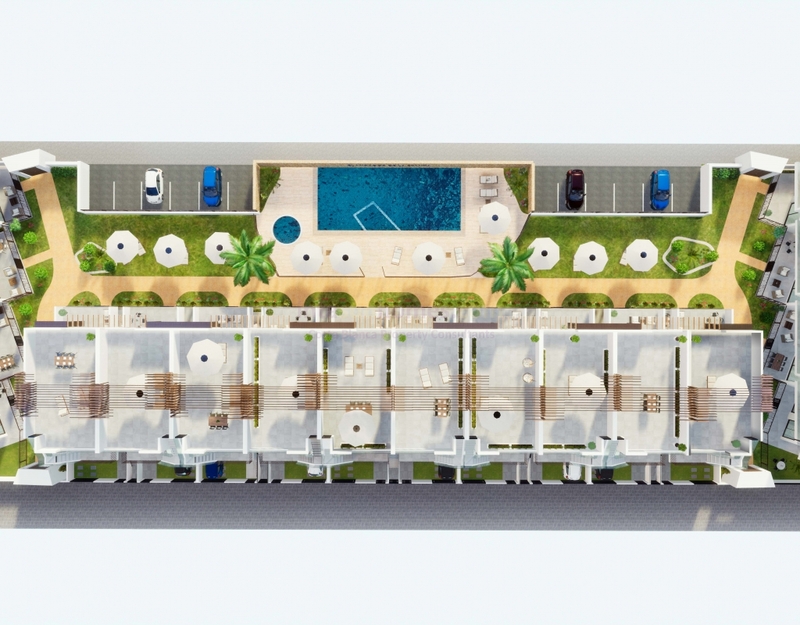 The ground floor model of these apartments comes with 2 outdoor living areas, one of which overlooks the beautiful communal pool and outside garden at the rear of the property the other larger area at the entrance of the property also doubles as a private parking area, The first floor model also comes with a balcony that overlooks the pool area but comes with the added feature of an expansive solarium which comes pre-fitted with a metalic pergola which is perfect for spending time with your family during the summer months. 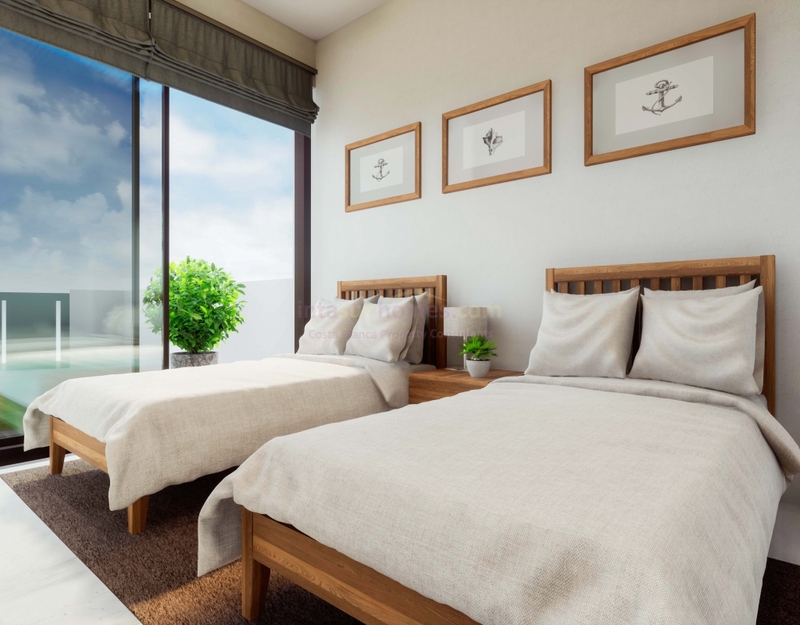 Both models come with pre-installed ducted air conditioning throughout the property and intercom systems.